The Kingfisher is our 2035mm (6'8) wide single door model which is available in a multiple of lengths. The attractive-looking Kingfisher is our 2035mm (6ft 8 ins) wide single-door model, which is available in a multiple of lengths. This is an extremely popular model, ideal for most gardens. 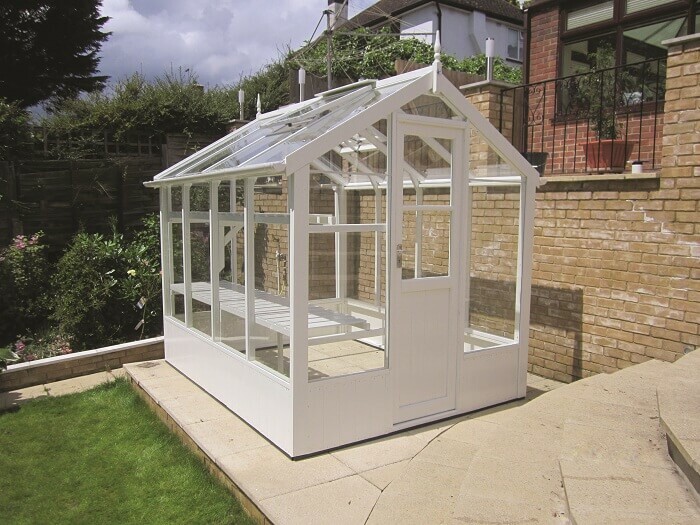 Enhance your swallow greenhouse with some of the available optional extras. For prices please give our expert team a call on 01772 824953. Please find below a table of the available sizes for the Kingfisher greenhouse.